The concept of stress and its deleterious effects were introduced in (1). Some beneficial effects of Qigong and Tai Chi on stress and its related signs, syndromes or diseases, for example: anxiety, depression, chronic pain, arthritis, immune and cardiovascular problems, appear in (2) and (3). Other psychological effects of Qigong on general behavior, intelligence, mental illnesses, brain injury and personality types, will be discussed below. An unpublished study in 1999, looked at the effects of qigong practice on “aggression, attention and restlessness ” in elementary school-age children (4). Qigong practice was conducted every Monday for two months. The teachers rated most children as less restless and more attentive during class on the day of qigong practice, but not on subsequent days. Many of the children reported feeling “full of energy.” This study was limited by lack of a control group, no blind raters and failure to measure pre and post-study changes in attention and aggression. There was no effort to diagnose ADHD or ADD in children in the classroom before starting the study. Psychological problems are increasing among pupils in Western countries. It has become a major problem in Sweden. The aim of the study (5) was to explore whether scheduled Qigong exercise could have an effect on well-being at school, psychological distress, self-image, and general stress. Pupils, 13-14 years, were assigned to either a Qigong or a control group. The Qigong group had scheduled practice 2 times a week for 8 weeks. Self-reported well-being at school, psychological distress, self-image, and stress were measured pre- and post- intervention. The control group had reduced well-being at school during the semester, while the Qigong group was stable. The Qigong group had reduced psychological distress and stress, and had a tendency to improved self-image after 8 weeks. No changes were found in the control group. In another study (6), students were divided into a Yuan Ji Qigong group, that practiced before the activity and a control group that did not practice Qigong. Tests that measured the sensitivity of relationships between people, gloom, anxiety, and hostility to others were significantly improved after Qigong practice but unchanged in the control group. Surprisingly, tests also showed that practicing Yuan Ji Qigong, before participating in sports, would increase their endurance. The above research suggests scheduled Qigong practice is a possible way to improve well-being, emotions and behavior at school. Mood states were assessed using scales such as those described in a Profile of Mood States, which is a 65-item questionnaire that assesses a person’s moods–e.g., anger, anxiety, confusion, depression, fatigue; vigor. Mood improved significantly for Tai Chi practitioners compared to inactive controls (27, 28, 29). Qigong was also shown to improve mood in a Qigong class compared to a control group of people waiting 12 weeks to be admitted to the Qigong class (30). Self-esteem significantly improved in Tai Chi practitioners when compared to a passive control group (31, 32) and also to psychosocial support controls (33). However, when Tai Chi was compared to exercise and education controls the increase in self-esteem was not significant (34). Research indicates that Qigong can improve intelligence. This may be the result of increased cerebral blood flow in Qigong practitioners (8). Brain cell death may be slowed down by an improved availability of oxygen. This may also be a reason that Qigong improves memory and retards aging senility. Other improvements in physiological functioning resulting from Qigong practice – such as, the reduction of adrenal stress hormones, may also prevent brain cell deterioration. Recently, researchers at Harvard, Yale, and the Massachusetts Institute of Technology have discovered that meditation can alter the physical structure of the brain (9). Brain scans of people, who practiced meditation for years, revealed increased thickness in parts of the brain that deal with attention and processing sensory input. In one area of gray matter, the thickening turns out to be more pronounced in older than in younger people. That’s amazing, because those sections of the human cortex, responsible for thought, normally get thinner with age. Some psychological effects of Qigong were studied in (10) using 35 subjects who performed Chanmi Qigong. The author states that he had obtained similar results with other forms of Qigong. After practicing Qigong state, their performances on certain tests improved compared to before Qigong practice. The tests included the speed of a certain act, accuracy of the act, memory extent of reciting numbers forwards and backwards, omitting numbers and symbols. Their errors in reading words with interference of color and reading colors with interference of words decreased significantly. These results show that Qigong exercise can improve the functions of perception, attention, memory and thinking. The author thinks that Qigong can increase children’s intelligent and can prevent intelligence from decreasing with aging. The author also states that Qigong can improve the stability of emotion, mood, ability of self-control, temper, flexibility of action, attention, observation, will power, thinking flexibility, memory, rapidity of thinking, logic of thinking and speed of action. The longer people practice Qigong the better these results. The author thinks that the explanation of how Qigong works is complicated and involves psychological, physical and biochemical factors. The role of Qigong in preventing and curing declining intelligence with aging was researched in (11) by several different investigations. First, the intelligence aging level was determined by administering psychological tests to 506 subjects. These tests consisted of 7 indexes of fluid intelligence: mental arithmetic speed, digit symbol recognition, choice reaction time, count, visual number span, tracing reaction and recognition of meaningless figures. Analyzing this data, a measuring system for the intelligence aging level was established for mental workers, 16-75 years old. Next, two groups of 48 subjects were selected. The subjects in Group I were mental workers who had been doing the Qigong exercise for some years. The subjects’ conditions in Group II were just the same as Group I except that they did not practice Qigong. The test results showed that Qigong improved people’s thinking response, limb flexibility, short-term memory and attention quality and it made the average mental physiological ages 1.62 years younger than the actual ones. Among the 19 retired mental workers sticking to the Qigong exercise for 6 months, 3 items among their 7 indexes of fluid intelligence had improved significantly. Their mental physiological age decreased from 66.3±8.21 years (before the Qigong exercise) to 65.02±2.44 years (after the Qigong exercise). This result indicates that qigong can delay the intelligence decline with aging.. Through spectral analysis and multiple stepwise regression techniques, a mathematics model of physiological age of the brain, based on 58 subjects’ characteristics of EEG parameters, was created. This model was used to calculate the physiological age of the brain for 8 subjects who stuck to the Qigong exercise. The results showed that the physiological ages of their brains were younger than their actual ones. Another investigation compared Qigong with drugs benefiting intelligence. 46 subjects were divided into two groups according to their age and educational background. One group only practiced Qigong, while the other group only took drugs benefiting intelligence (Preserving Youth Pills). After 3 months, the group taking drugs significantly improved their speed of mental arithmetic, digit-symbol and choice reaction time. Their mental physiological age was 1.85 years younger, on average, than before. However, all indexes and mental physiological ages in the Qigong group didn’t change except the digit symbol index. These results show that although the Qigong exercise can improve intelligence of the aged, it didn’t take affect as soon as the drug. The reason may be that it is difficult to become proficient in Qigong in a short time. However, Qigong doesn’t have any side-effect as some drugs and confers additional mental and physical benefits than just the particular symptom relief of drugs. The authors conclude that Qigong is the ideal way to prevent and cure declining intelligence aging symptoms. In another study (12), a fourth grade class, 85 boys and 85 girls were divided into 4 groups. Two groups did Qigong abdominal respiration while quietly sitting for 2 minutes before each class every day. The control groups were not given any Qigong training. After 6 months, the average test scores in language mathematics, and geography increased by 11.95% (P<.01) in the Qigong groups, but did not change significantly in the control groups. A study (13) on the effect of Qigong improving the intelligence of mentally handicapped adolescents was carried out with 87 subjects, ages10-12 years. The subjects were divided into two groups: a Qigong group of 45 subjects who came for Qigong once a day, for five months, and a control group of 42. All subjects received 15 indexes of elementary intelligence and cognitive ability tests before and after the trial. The level of intelligence of Qigong group was improved by 20.6% compared to the control group’s 16.7%. However, the difference of improvement had no statistical significance because it was a qualitative not a quantitative study. The study suggests that the intelligence of adolescents with a mental handicap can be improved with Qigong, but further studies are needed for conclusive evidence. Another pilot study on the effect of Qigong improving the intelligence of mentally handicapped children appears in (14). There were 14 subjects, 7~12 years, 8 cases with IQ score 35~49 while 6 cases had scores of 50~70. They all had poor self-control and were hyperactive. The Qigong treatment was designed specifically for children and consisted of static Qigong, dynamic Qigong, assistant movement, and treatment by external-Qi. The static part was performed four times a week, half an hour per time, and the dynamic Qigong was practiced once a day. The subjects continued practicing Qigong for three months. Their elementary intelligence was compared before the trial with that after the trial. The results of practicing Qigong were that the subjects could sit more quietly for a while than before. In addition, their memory, attention, ability of understanding, and mathematical computing capability were improved. This suggests that intelligence of mentally handicapped children could be improved by practicing Qigong. In (15), Wang’s Qigong for preserving health and delaying senility was investigated. The subjects were 213 retired people, aged from 45-78. Their average age was 66.8. Among them 110 were males and 103 females. The Qigong group included 66 cases of primary hypertension, 36 cases of coronary heart disease, 16 cases of diabetes, 12 cases with cerebrovascular disease sequelae, 20 cases of other diseases and 63 healthy people. The control group included 32 healthy males and 28 females. The Qigong group performed Wang’s Qigong about three or four hours per day for one or two months. The groups were tested physiologically, psychologically, including intelligence tests before and after the prescribed period of practicing Wang’s Qigong exercises. Wang’s Qigong was not only able to enhance intelligence, but had a 72% curative effect for practitioners in cases of hypertension, coronary heart disease and cerebral hemorrhage. Some patients did not have reoccurrence in two years when they did Qigong without taking drugs. Surprisingly, even cases of traumatic injury such as: cervical spondylopathy and old lumbar spondylolisthesis made a good recovery. The author of (16) began using the Qigong Quick-Benefit Intelligence in 1988. Good results were obtained by only practicing several months. More than 40 classes around the country and students of correspondent schools from 31 provinces and cities participated in the Qigong Quick-Benefit Intelligence project. The author claims remarkable results are obtained with diligent practice-such as, developing the potential intelligence, strengthening the health, improving appearance, prolonging lives, molding the temperament and developing the morality. The effect of the Health Qigong-Yi Jin Jing on the intelligence decline of the aged was investigated through a computer-assisted test of intelligence level to physiological age (17). The control group practiced Qigong, while the control group did not. 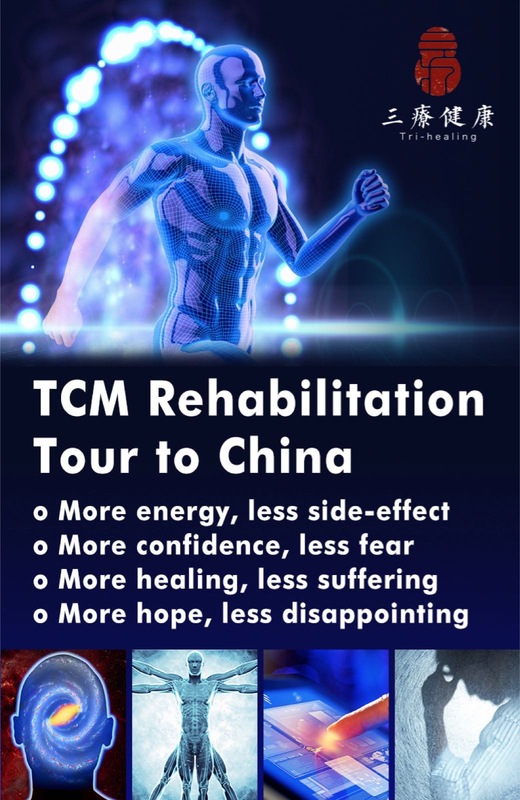 By comparing the test results before and after 6-months practice, it was concluded that Health Qigong-Yi Jin Jing can slow down intelligence decline of the aged through improving quickness of thought and action, short-term memory and attention quality. 1. Eisen, M. Qigong and Taiji Application in Stress Management. Part 1: Background of Stress. Qi Dao, Nov./Dec., 2007. 2. Eisen, M. Qigong and Taiji Application in Stress Management. 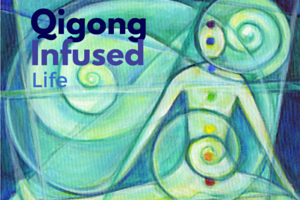 Part 2: Qigong for Stress. Qi Dao, Jan./Feb., 2008. 3. Eisen, M. Qigong and Taiji Application in Stress Management. Part 3: Tai Chi for Stress. Qi Dao, March/April, 2008. 4. Cousins, C. Research findings of the Qigong for children project, The American Foundation of Traditional Chinese Medicine,” 1999 (unpublished). 5. Terjestam, Y. et al. Effects of scheduled qigong exercise on pupils’ well-being, self-image, distress, and stress. J Altern. Complement Med., Sept.16(9), 939-44, 2010. 6. Wu, H., et al. 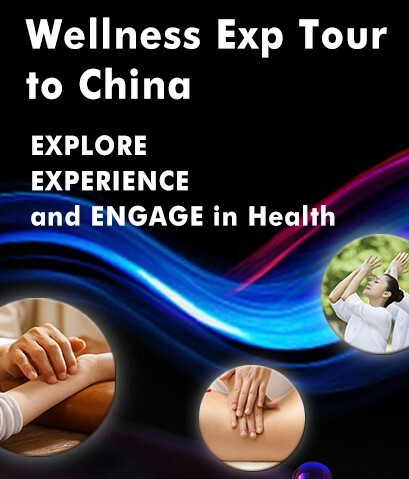 Study of the influence of Yuan Ji qigong on physical and mental health of students. Conference/Journal: 2nd World Conf. Acad. Exch. Med. Qigong, 1993. 8. Eisen, M. Scientific Qi Exploration. Part 12: Qigong and the Cardiovascular System. Qi Dao, July./Aug., 2010. 10. Wang, J. Psychological effects of qigong. Conference/Journal: 1st World Conf. Acad. Exch. Med. Qigong, 1988. 11. Sun, F., et al. Influence of qigong on the declined intelligence of the aged. Conference/Journal: 1st World Conf. Acad. Exch. Med. Qigong, 1988. 12. Tong, S. and Xe, P. Qigong for increasing learning ability. Fifth Int. Congress of Chinese Medicine and First Int. Congress of Qigong, Berkeley, CA, p. 124, 1990.
g intelligence of adolescent with mental handicap. Conference/Journal: Eastern Qigong Journal, 1992. 14. Liu, F., et al. 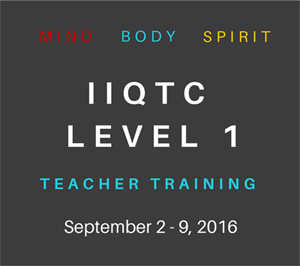 A pilot study of intelligence improvement in children with mental handicap by Qigong. Conference/Journal: Eastern Qigong Journal, 1992. 15. Zhao, J., et al. Effect and cause of Wang’s Qigong in preserving health and delaying senility. Conference/Journal: 3rd World Conf. Acad. Exch. Med. Qigong, 1996. 16. Feng, X. The Qigong Quick-Benefit Intelligence – An important tool to improve the population quality extract. Conference/Journal: 7th Int. Sym on Qigong, 1998. 17. Zhang, Wen-chun, et al. A research on Health Qigong-Yi Jin Jing for slowing down intelligence decline of the aged. Chinese J. of Behavioral Medical and Brain Science, 2006–09. 18. Taylor-Piliae, R. E., et al. Effects of Tai Chi and western exercise on physical and cognitive functioning in healthy community-dwelling older adults. J Aging Phys Act. Jul;18(3):261-79, 2010. This entry was posted in Scientific Qi Exploration and tagged Qigong, research, science. Bookmark the permalink.